This provocative book, which accompanies an exhibition of the same name, explores the forces that bifurcate our society along gender lines. 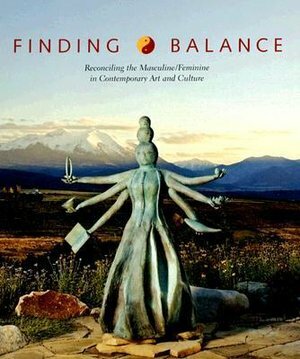 In its quest for balance--or, at minimum, an understanding of where cultural imbalances exist--Finding Balance draws upon literary discourse and the works of eleven internationally acclaimed artists: Jim Baker, Robert Brinker, Monica Chau, Linda Girvin, Jody Guralnick, Pamela Joseph, Charmaine Locke, Brad Miller, Brian Reid, Barbara Sorensen, and James Surls. The twenty-six featured works range from traditional ceramics to lenticular photography. The critical essays by James Surls, Charmaine Locke, and noted author and scholar Leonard Shlain evoke a series of questions: Has the gender imbalance of our era been resolved? What are the implications of a patriarchal society on contemporary culture? What role does the artist play in advancing discourse and reconciliation? Curator Surls has selected artists whose works are evocative in their diversity of scale, medium, and motivation. Collectively they expand the boundaries of the conscious and unconscious, equalizing the balance of opposite forces.